I've been using this keitai for more than 3 years. 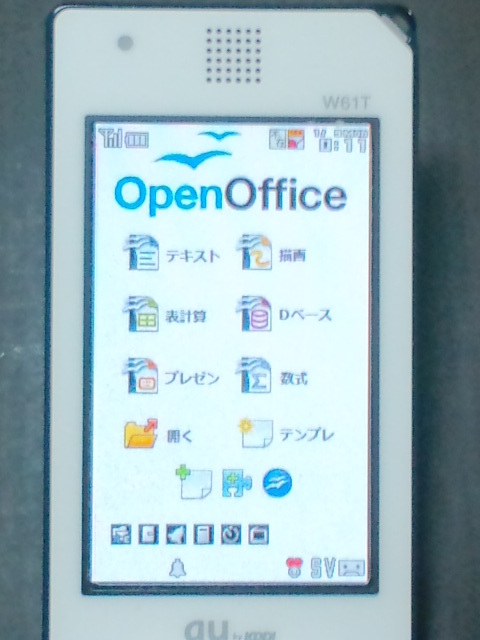 This keitai works very hard. It receives emails with pictures everyday. 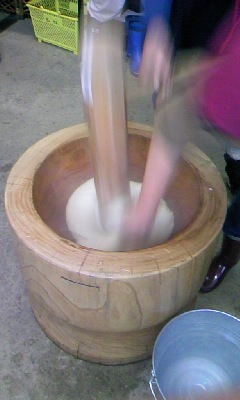 Last Saturday I went to Honederamura with parents and children of our community, Yamanome, to experience heavy snow and mochi tsuki (mochi pounding or rice-cake making) together. 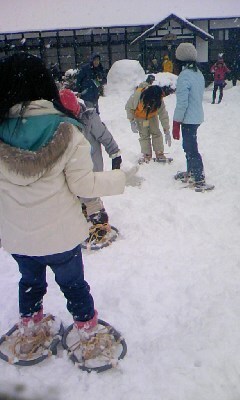 We tried Kanjiki to walk on soft snow easy. 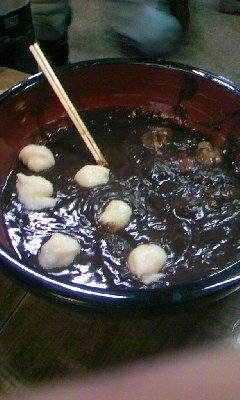 Then we tore the mochi into bite-sized pieces and ate them with red bean paste. Happy New Year! 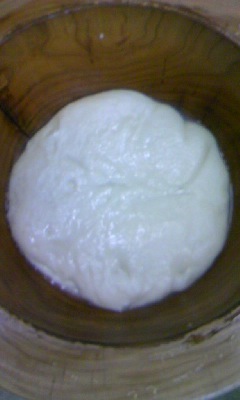 The year of Dragon! The year of London Olympics! My partner's mother will be 21 years old on February 29th. 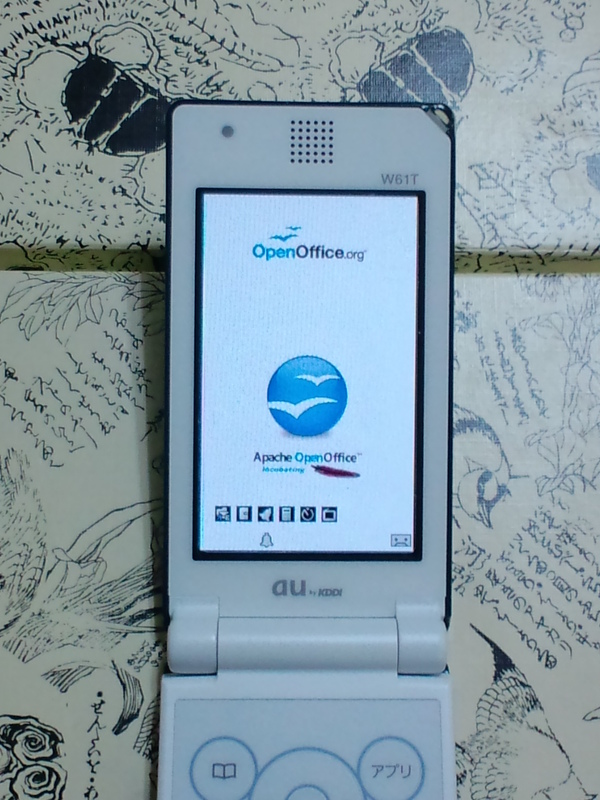 Today I have got Apache OpenOffice installed on my keitai. If you like to know more about Apache OpenOffice, see OpenOffice.org Incubation Status. Click here to see Japanese translation of the status page.